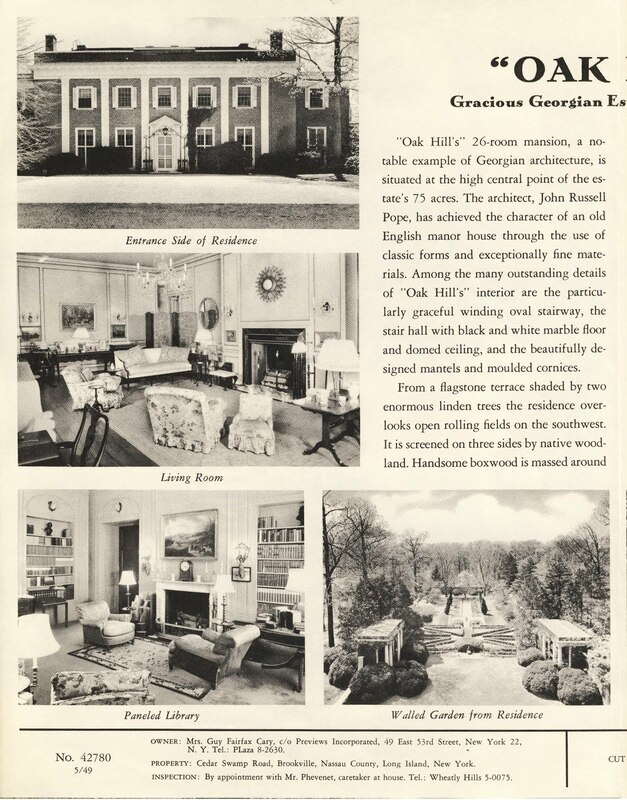 A brochure advertising 'Oak Hill', the Arthur Scott Burden estate designed by John Russell Pope c. 1915 in Brookville. Burden was president of Burden Iron Works and died prematurely in a polo accident on this estate in 1921. 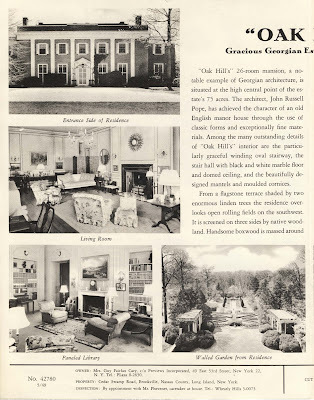 Click HERE for more pictures of 'Oak Hill'. 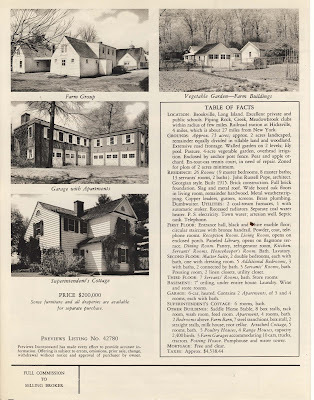 The house was demolished in the 1950's but sat on Fruitledge Road. Sad that so many homes have been demolished. 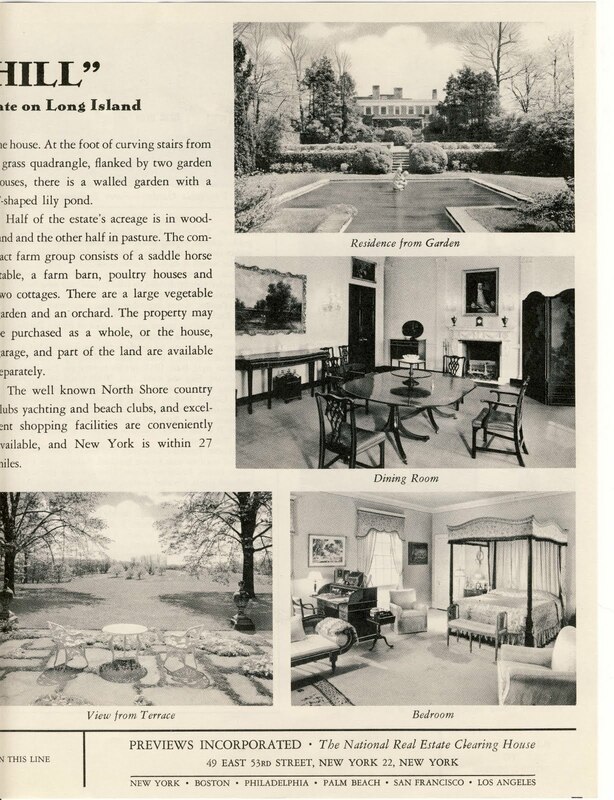 Oh yes, the 1960's were an especially rough time for NYC/LI architecture. When was the house sold, ie when does the brochure date from? The stable still survives as a private home. 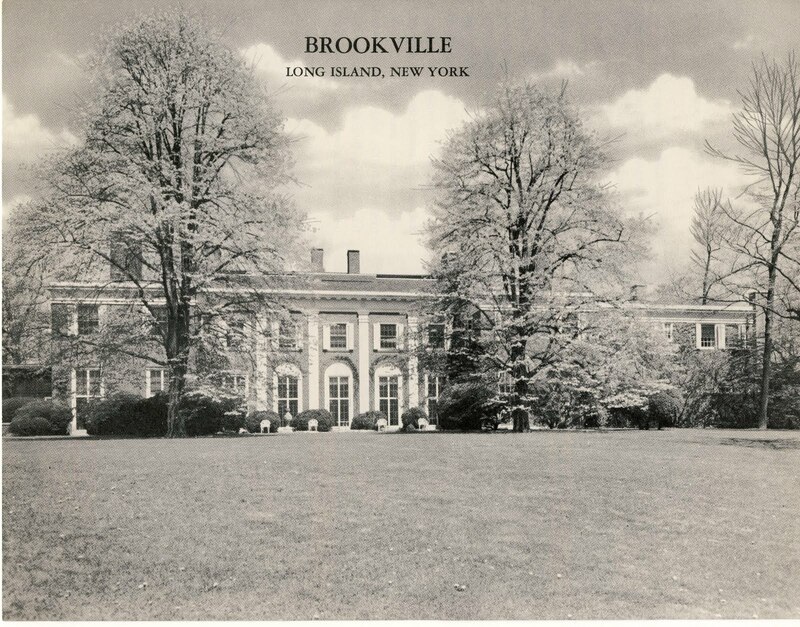 This house reminds me of the Farwell house "Mallow" By Bosworth. 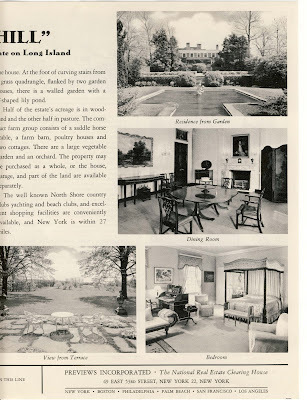 Might you have a real estate brochure from this house with interior photographs? Its interior might be of great interest to your followers as I believe it was done by Ruby Ross Wood.